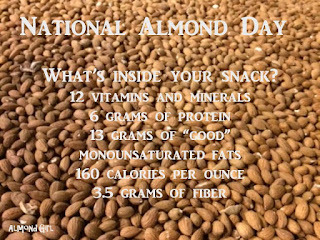 Today is National Almond Day! I love that my favorite nut has its own day. 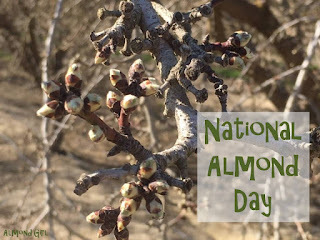 Just like you and me have our birthday, a day to celebrate ourselves, today is a day to celebrate almonds. 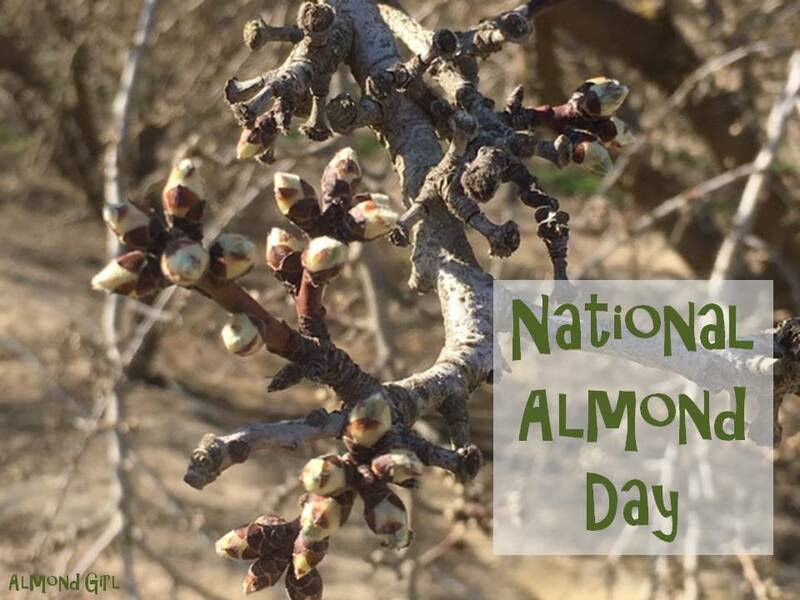 And what a better day to talk almonds than on their special day. 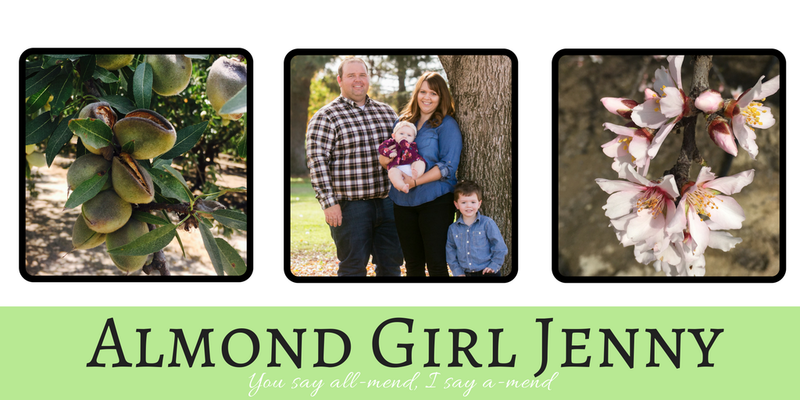 So let's talk almonds! 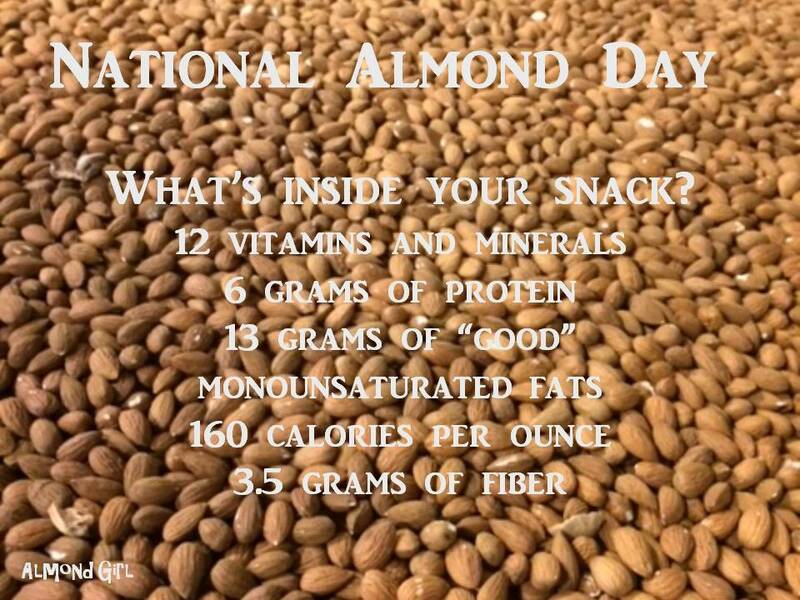 How do you eat almonds? Most people just snack on whole almonds but there are so many more ways to enjoy almonds. You can enjoy whole almonds in your homemade granola or favorite trail mix. Slivered almonds are great for granola, yogurt or even ice cream. Sliced almonds are great toppers for cupcakes or muffins and add them to almost anything your baking. Almond Milk is delicious on cereal and add it to your smoothie or coffee of your choice. Have you tried almond oil? Next time your whisking together a salad vinaigrette try it out. Or what about almond butter on your toast, or to dip your apple in? Have I made you hungry yet will all these great ways to enjoy almonds? 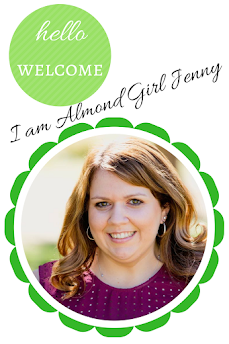 If you are looking for some yummy ways to enjoy almonds, check out some of my favorite recipes. And don't feel guilty about eating almonds either. I have a great not so secret, secret....almonds are healthy! A handful of almonds is the recommended serving size of 23 almonds or one ounce, and is only 160 calories. That one serving is packed with 6 grams of protein, 13 grams of monounsaturated fats (the good ones), 3.5 grams of fiber, 8% of your daily calcium and 20% of your magnesium for one day. That's a lot of good stuff for one great big handful! So next time you need a great go to snack or a little something extra to add to your meal, don't forget the nuts! !